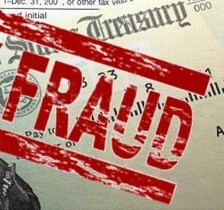 Ohio law treats fraud as both a kind of theft and as a method for committing theft. Penalties for fraud include jail time, large fines, and restitution. Importantly for anyone charged with fraud, a conviction requires proving to a judge or jury that the accused defendant intended to defraud someone or to steal money or property in a fraudulent manner. Working with an experienced Columbus Ohio criminal defense attorney can help prevent a misunderstanding over ownership or permission to escalate into a criminal record. Chapter 2913 of the Ohio Revised Code states that fraud, as a criminal act of deception means knowingly deceiving another or causing another to be deceived by any false or misleading representation, by withholding information, by preventing another from acquiring information, or by any other conduct, act, or omission that creates, confirms, or perpetuates a false impression in another, including a false impression as to law, value, state of mind, or other objective or subjective fact. To put that in plain English, fraud involves making misrepresentations. Fraud enables theft when a misrepresentation results in a person, business, or government agency handing over money, products, services, or benefits. Pay particular attention to the word “knowingly.” The key difference between engaging in criminal fraud and merely taking something without clear permission or authorization is knowing that you do not have a legal claim on the item or service. It is also illegal to assume a false identity, impersonate a law enforcement official, write bad checks, forge official documents, and send spam emails when doing so in order to falsely claim money, take possession of property, or receive benefits or services. Businesses can commit fraud by selling counterfeit items, misrepresenting benefits and risks to consumers, or rigging prices and contracts. Such acts of corporate and consumer fraud are generally handled as civil offenses, but such instances are likely to be treated as criminal matters when large sums of money are involved or when individuals suffer physical harm. Simple fraud and most types of fraud that results in the theft of something with a value of less than $1,000 are treated as first-degree misdemeanors in Ohio. A conviction can lead a judge to order payment of restitution with interest, issue a jail sentence of up to 180 days, and assess a criminal fine of as much as $1,000. Penalties increase in severity as the dollar value of the alleged theft by fraud rises. The following table illustrates how this works. Contact The Maher Law Firm if you need help from a Columbus Ohio criminal defense attorney. We offer free consultations on fraud and theft cases, and we take most cases on a flat-fee basis. Call us at (614) 205-2208 or contact us online.